NORFOLK, Va. – The MEAC Players of the Week were announced this week. North Carolina A&T State quarterback Lamar Raynard and Howard quarterback Caylin Newton were named Co-Offensive Players of the Week for their play on the field this past weekend. Morgan State linebacker Brandon Griffin (Defensive), North Carolina A&T State’s Brandon Parker (Offensive Lineman), Howard’s Gerald Wright (Offensive Lineman) and North Carolina A&T State punt returner Khris Gardin (Specialist) took home the first Mid-Eastern Athletic Conference weekly football honors of the 2017 season. In his collegiate debut, Newton led Howard to its first-ever FBS win as he totaled 330 offensive yards. Newton rushed for 190 yards and passed for 140 yards including the go-ahead touchdown midway through the fourth quarter at UNLV. 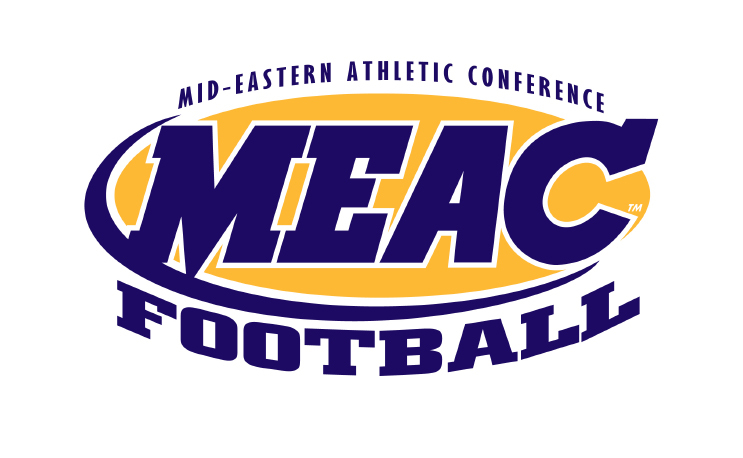 The win marked the second consecutive season a MEAC institution has defeated an FBS opponent. Raynard threw for a career-high 321 yards and broke the school’s single-game record for completion percentage (.863) as North Carolina A&T State knocked off Big South member Gardner-Webb on Saturday evening. He accounted for four of the Aggies’ seven touchdowns and was the first North Carolina A&T State quarterback to throw for 300 yards in six years. Griffin collected a game-high eight tackles to go along with two tackles for loss and a sack. He also posted one of three interceptions on the day for a Bear defense that limited the Tigers to just 102 yards of total offense, including just 17 yards on the ground. Gardin returned five punts for 150 yards and a touchdown including an 88-yard punt return in the win at Gardner-Webb. It was the fifth punt return for a touchdown in his career and was the 13th time he has returned a punt for 40-plus yards. Parker graded out at 85 percent and had two pancake blocks as North Carolina A&T State finished with 458 total offensive yards in the win over Gardner-Webb. Parker spearheaded an offensive line which did not allow a sack or knockdown the entire game. Wright led an offensive line which paved the way for 449 total offensive yards, including 309 on the ground. The Bison did not allow a sack through the contest.